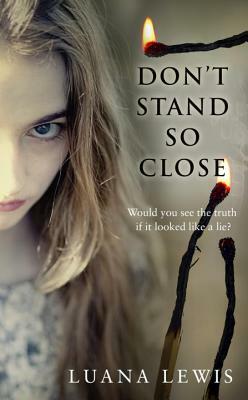 Thank you to Leanne at Transworld Publishers for the review copy of Don't Stand So Close. A lingering, compulsive debut novel that will keep you tightly in its grip. What would you do if a young girl knocked on your door and asked for your help? If it was snowing and she was freezing cold, but you were afraid and alone? What would you do if you let her in, but couldn't make her leave? What if she told you terrible lies about someone you love, but the truth was even worse? Stella has been cocooned in her home for three years. Severely agoraphobic, she knows she is safe in the stark, isolated house she shares with her husband, Max. The traumatic memories of her final case as a psychologist are that much easier to keep at a distance, too. But the night that Blue arrives on her doorstep with her frightened eyes and sad stories, Stella's carefully controlled world begins to unravel around her. I read the summary of this book in the Transworld catalogue and was instantly drawn to it. Reading the book itself wasn't exactly what I had expected it to be. I was expecting more scary thriller and less psychological thriller. This book is designed to make you think, and is about the deep dark secrets of people who you thought you knew, and who you thought you trusted. The two main characters also have deep-rooted problems of their own, both unique, but both linked in some way to each other. The question is, how? The chapters alternate so that the background story and the present day within the house play out piece by piece and you have to keep turning the pages to tease a little more information out before you can start to put the pieces together to make the jigsaw complete. Personally, it didn't grip me as I had hoped it would, but it is a good book (and for a first novel, it is excellent). I would definitely say it is worth a read if it sounds like your sort of thing. Don't Stand So Close is released on February 13th 2014.